Kylie and David has known each other for a long time and they were involved with other partners at the time. But life had other plans for them. In 2009 they discovered that they both were single. David invited Kylie and her two daughters to go on a mini getaway. Since then Kylie and David spent a lot of time getting to know each other. Once the time was right, David asked for Kylie’s hand in marriage. We have the pleasure of being part of Kylie and David’s special day in a few months’ time. 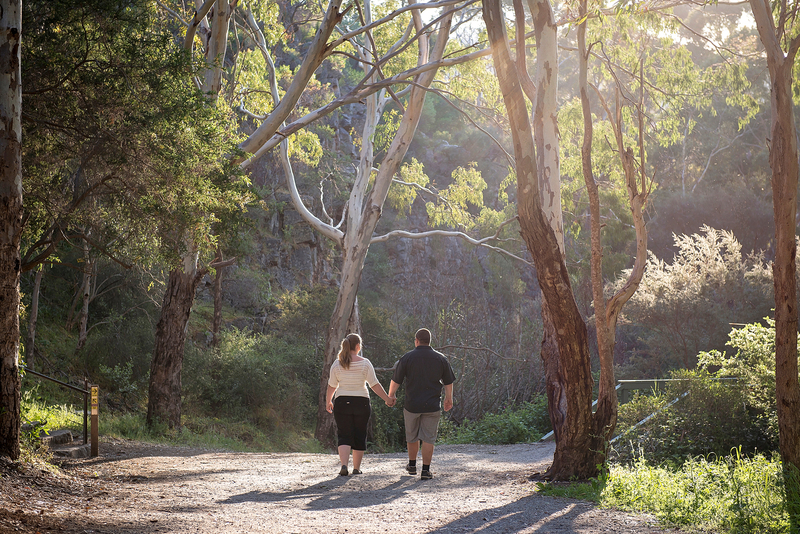 Here are some pictures from their pre-wedding session, at Morialta Falls.